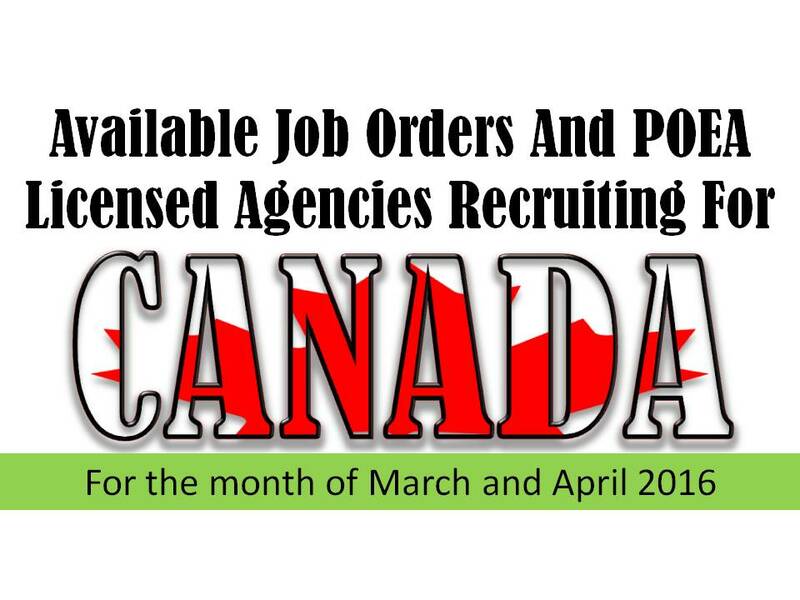 The following are the job orders for Canada released by POEA which are already approved. 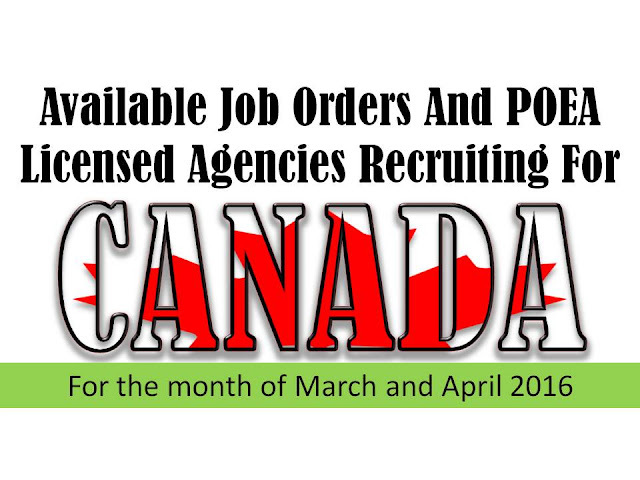 Canada is among the countries with "NO PLACEMENT FEE POLICY" according to POEA. We are not affiliated to any of these agencies. For interested applicants please contact the agency through the link. We also strongly advise job applicants to be vigilant and report to POEA any violation in the recruitment process. You might want to read the list of expenses when processing job application abroad . 4 MAJOR EARTHQUAKE IN 48 HOURS, HOW TO BE READY? NEWS REPORT: 2,000 JOBS AVAILABLE IN KUWAIT!